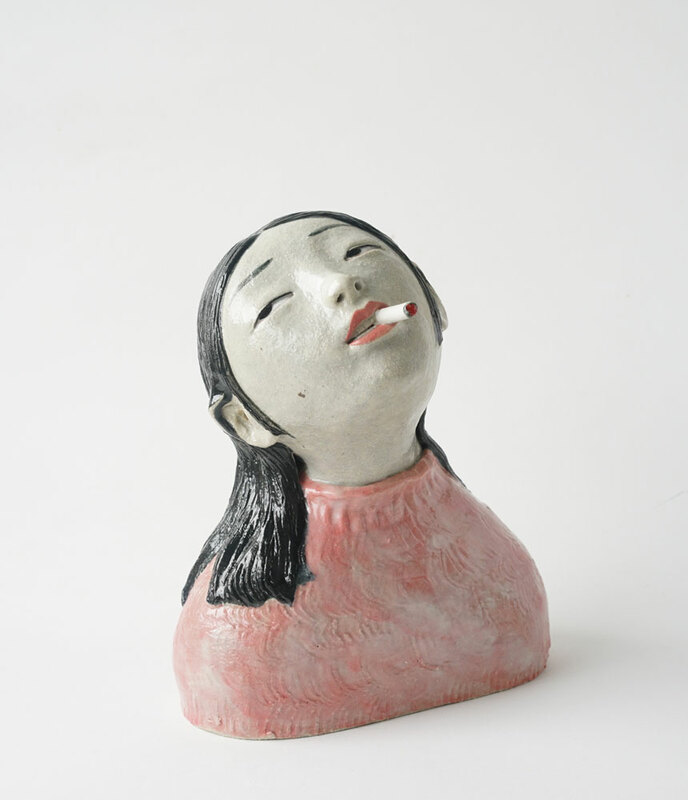 Dai Li’s sculptural ceramics are curiously quirky and inviting; “My artworks are about the relationships between people, animals and objects in everyday life. Moments of activity, moments of contemplation or unguarded moments when no one is watching; these are the moments when people can reveal their true nature… I intend for my artworks to have a sense of ambiguity as to a story or meaning. This ambiguity leaves the viewer responsible to interpret and create meaning for him or herself from the artwork. In doing so, I hope to reflect the gap of subjectivity and how our life is made from these moments.” Each piece is carefully handbuilt and painted with an imbued personality which not only catches your attention, but also causes you to pause and reflect. Dai Li was born in Sichuan, China and now lives and works in Queensland. From 2005 to 2009 she attended the Jindgezhen Ceramic Institute in China and shortly after graduating came to Australia. She has been exhibiting regularly since her move to Australia and in 2016 was a finalist in the Biennial North Queensland Ceramic Award.